It's a rare event when the head of a federal agency asks Congress to limit that agency's power. But that's exactly what Mick Mulvaney, acting director of the Consumer Financial Protection Bureau (CFPB), did Monday. In the agency's report to Congress, Mulvaney suggested four major changes, all of which would limit the CFPB's authority and independence. First, he wants Congress to control the CFPB's funding. Currently, it is funded by the Federal Reserve, a provision designed to shield the consumer protection agency from political pressure. He also wants to change the law to make directors of the CFPB subject to termination by the President, like administration political appointees. Under the law, the director can only be fired by the President for cause. Mulvaney also suggests Congress appoint a CFPB inspector general to respond to complaints about the bureau and its officials. And finally, the acting director said Congress should give itself the power to finalize all bureau rules. “The Bureau is far too powerful, and with precious little oversight of its activities,” Mulvaney wrote in his report. Even American Banker, a publication for the financial industry, noted that most observers were either stumped or outraged by Mulvaney's proposals. "The bureau would be a very strange administrative body if it’s every rule is subject to direct congressional approval," Jim Hawkins, a law professor at the University of Houston Law Center, told American Banker. The CFPB was established in 2013 under the Dodd Frank Financial Reform Act. Its sole mission is protection of consumers against overly aggressive and abusive lending practices. It's first director, appointed by President Obama, was Richard Cordray, who as the attorney general of Ohio, had been active in protecting consumers' rights. When Cordray resigned over the summer, the Trump administration appointed Mulvaney. As a member of Congress, he had been a vocal CFPB critic, at one point calling it a "sick, sad, joke." Because of that, Mulvaney's proposal to transform the agency didn't surprise most consumer activists. 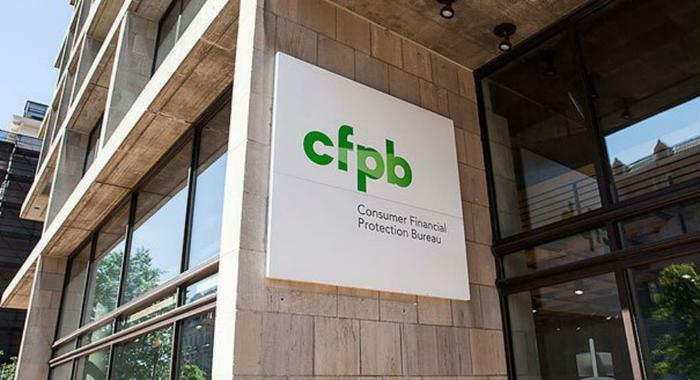 “To summarize Mick Mulvaney’s message to Congress, let’s take away the consumer bureau’s independence and then make it harder for it to do its job,” said Mike Litt, consumer campaign director for U.S. PIRG. Lauren Saunders, associate director for the National Consumer Law Center, said Mulvaney should stick to what Congress directed this agency to do -- protect consumers. She said Mulvaney is simply pushing legislation that he supported as a Congressman to gut the consumer bureau.